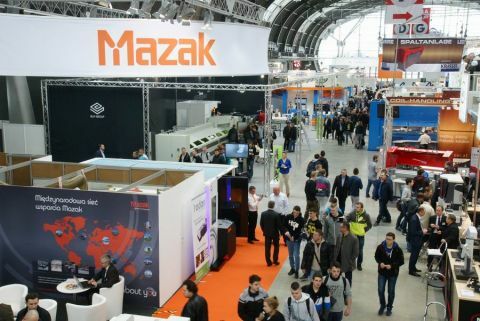 Last year's Targi Kielce's Industrial Spring was an immense success with 900 exhibitors from 35 countries, over 12 thousand visitors. Another specialist exhibition - STOM-ROBOTICS is included in the 2018's cycle. The STOM-ROBOTICS début will be solely focused on industrial robots. The idea to organise and hold a new exhibition comes from the "Industrial Spring" exhibitors, who addressed the expo organisers. Yaskawa has been appointed the event's official partner. Yaskawa is one of the wold's largest producers of industrial robots, inverters, servomechanisms and controllers. Yaskawa's robots are available under the MOTOMAN brand; these are the response to Poland's industrial market dynamic development. The "Industrial Spring" expo cluster, in addition to the STOM-ROBOTICS also includes: STOM-TOOL, STOM-BLECH & CUTTING, STOM-LASER, WELDING, WIRTOPROCESY, EXPOSURFACE, PNEUMATICON, CONTROL-STOM, 3D Printing Days, TEiA Expo. We look forward to seeing you in Targi Kielce from 10 to 12 April 2018.